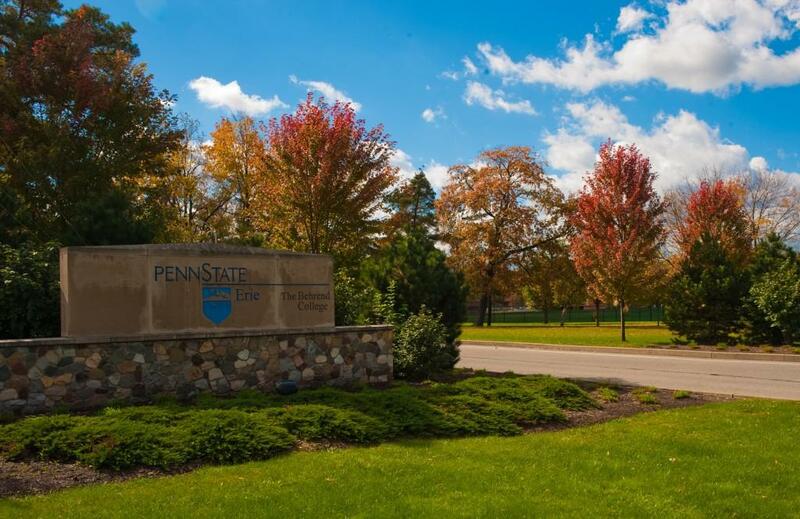 A $500,000 gift will allow Penn State Erie, The Behrend College to purchase high-tech equipment to help out students and local filmmakers. If some of the students at Penn State Erie, The Behrend College ever hoped to become a filmmaker, their dreams just became closer to a reality. The Samuel P. Black Family Fund of the Erie Community Foundation recently provided Behrend with a $500,000 gift to support digital studies and availability of equipment for the public. So what does a $500,000 gift get these potential auteurs? According to the press release, Behrend will receive "Epic-M Red Dragon Pro cameras, lenses, tripods, and stage legs; six-channel sound mixers; shotgun and wireless mics; a 1,200 watt Fresnal lighting system; and Mac Pro, Adobe, and DaVinci Resolve editing and rendering software" and probably some other fancy equipment that helps make things look good on a screen. "The quality and the range of the equipment is second to none," says Sharon Dale, associate professor of art history and chair of the arts program at Behrend. "It is the equivalent to what is used in the industry; in fact, it is what is used in the film industry." Some of the purchased equipment is already close to being used in classes like Basic Video Filmmaking, and Dale says that she hopes to have the rest of the tools provided by the gift at Behrend by next spring. She also says that a new major for Digital Media, Arts, and Technology has been proposed and could be an option for students as early as the fall 2015 semester if approved through the Penn State process. The public outside of Behrend will also be able to take advantage of the school's state-of-the-art new tools, as Behrend officials are in the process of creating a yet-to-be-named nonprofit with the Greater Erie Film Office so that filmmakers not attending the school can access equipment they may need for their own projects at a low rate. "We want to make certain that this is used as a kind of jumpstart for the creative industry in Erie," Dale says. "It's a terrific opportunity both for us and for filmmakers around here. I think it's going to be enormously successful." The exact details of the gift may still be in production, but the benefits may be coming to a filmmaker near you in the spring of 2015 and Erie could be better off for it.